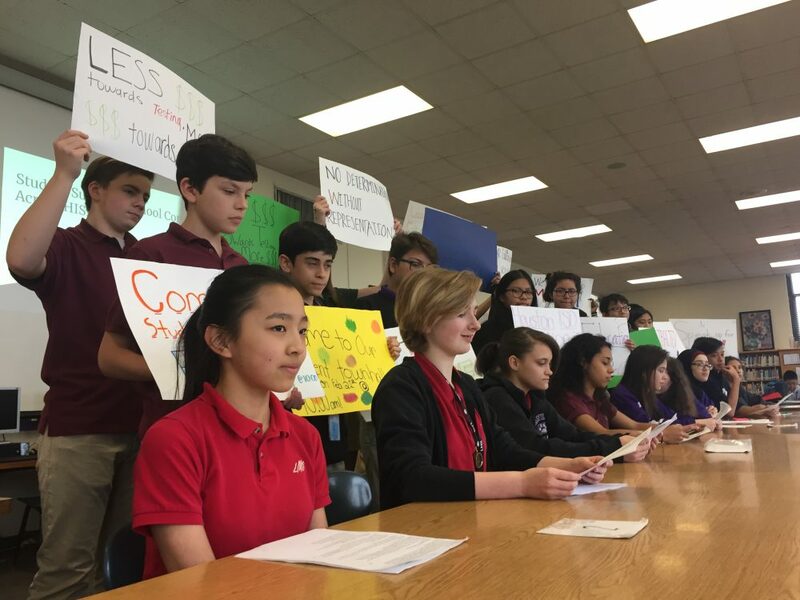 Nina Zhang, 14, joined her classmates at Lanier Middle School in a press conference Tuesday, where they highlighted results from a district-wide student survey. 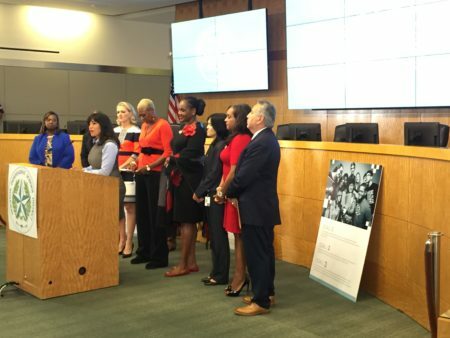 The survey and a planned town hall about proposed HISD changes is a class project for the students. 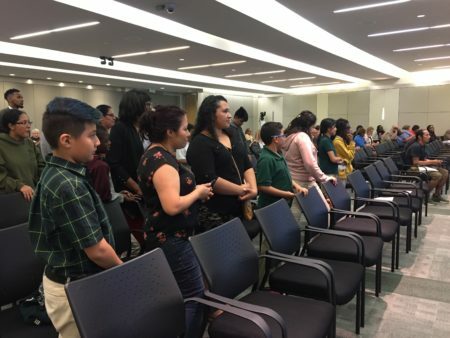 Some middle school students are calling on Houston district administrators to listen to kids more before they make major budget decisions. To that end, a group of students at Lanier Middle conducted a survey of their peers district-wide to get more feedback. So far, some 3,500 students at 20 different middle and high schools have answered the survey. It shows that they cite standardized testing as a top concern, along with too much homework, bullying and strict dress codes. 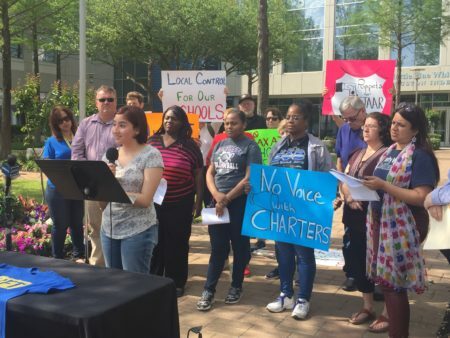 Nina Zhang, an eighth grader at Lanier, said that administrators could save millions on testing and put it towards arts, music and other magnet programs. “The survey just shows how many students want the magnet program and how many students have issues with our current school system. 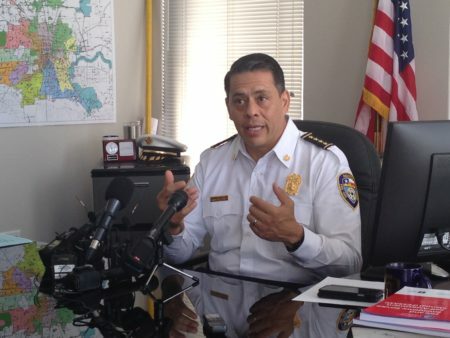 And during budget reforms, we want HISD to listen to our voice,” Zhang said. “Since there is a $200 million dollar budget cut and we’re having a lot of budget reforms around arts and sports and stuff like that, in this scenario, our voice is really important. And it’s even more important since it’s our education,” the 14-year-old added. Students at Lanier will discuss this more at a town hall with elected officials next week. HISD has to bridge a huge budget deficit for next school year, and changes to magnet programs figure in that effort.